If you own a home or a business in St. Louis, Missouri, chances are that it was built in the 1920’s or 30’s. St Louis is rich in historical buildings. While owners and visitors alike admire the age and external structure of the buildings, owners often forget to consider that the underground sewer pipes are of the same age. Often these underlying structures slip from the thought of maintenance and upkeep. However, aged pipes can corrode, wear, and crack, and when these complications begin to occur, call NuFlow St. Louis for sewer pipe lining solutions. Sewer pipe lining is a powerful, effective repair process that will ensure that the problem, no matter what it is, is resolved quickly and efficiently. We combine our methods with advanced robotics technology to further streamline the process and make it as convenient for our customers as possible. At NuFlow St. Louis, we recommend that St. Louis buildings of all ages have their sewer pipes inspected to prevent the occurrence of any leaking pipe symptoms, and we incorporate these inspections into all of our jobs. Scheduling a sewer line inspection is the most cost-effective way of circumventing larger, unexpected repairs in the future. Whether you are currently experiencing problems or you want to be proactive in setting up a maintenance inspection schedule, at NuFlow St. Louis, our team begins with a pipeline camera inspection. Our team utilizes robotic-based cameras in order to enter your pipes and video an inspection from the building out to the connection with the municipal sewer line. This is the only meticulous way to scan every inch of the inside of your pipeline. Based on the findings, we will recommend a maintenance inspection schedule or a pipeline repair. Factors include the composition of your current pipes, their age, their corrosion level, and any cracks. We recommend that you schedule a sewer line inspection before any problems are noticed. Our goal is to prevent unexpected sewer pipe repairs from interfering with your business workflow or your comforts of home. If the building’s pipes are worn or have cracks or breaks, our team at NuFlow St. Louis can quickly and efficiently make repairs using cured-in-place pipe (CIPP) liners. 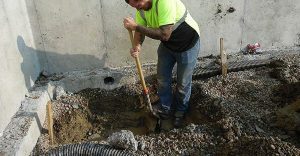 This method does not require digging up the old pipe as in previous decades. Instead, a sleeve is inserted through a pipeline entry point and an impenetrable epoxy resin layer is created inside the length of pipe. This process takes only hours, not days, has minimal impact on the workflow or household comforts, and does not destroy your landscaping as was the case with older dig up and replace pipe repair processes. The result is a durable and long-lasting pipe replacement without ever moving the original pipe. Because of this sewer pipe lining has become the new standard of sewer pipe repairs, ensuring that the problem is quickly fixed and that your historic home remains in perfect condition during the entirety of our visit. If you are already experiencing symptoms such as a sewer smell in your home or business, a wastewater back up in one of your bathrooms, a slow drain in a kitchen or shower, or puddling water somewhere in your landscaping, contact us immediately. Our goal is to simplify your life by removing the care and concerns about sewer pipeline maintenance from your to-do list and on ours.